Restoration of Pilcher Opus 605 two manual and pedal mechanical action organ (tubular pneumatic pedal Bourdon action). 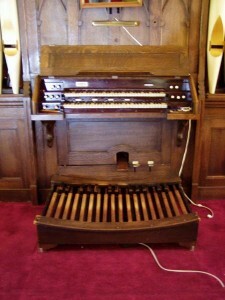 The Pilcher name in organ building encompassed four generations of the family doing business in several locations including Newark, Chicago, St. Louis, and New Orleans, as well as Louisville where the instrument for Saybrook was manufactured. Over 100 Pilcher instruments were built for churches in Illinois, including about 16 for Methodist churches. Remaining documented Pilcher instruments in Illinois, in addition to the one in Saybrook, are in Albion, Elkhart, Greenville, and Knoxville. 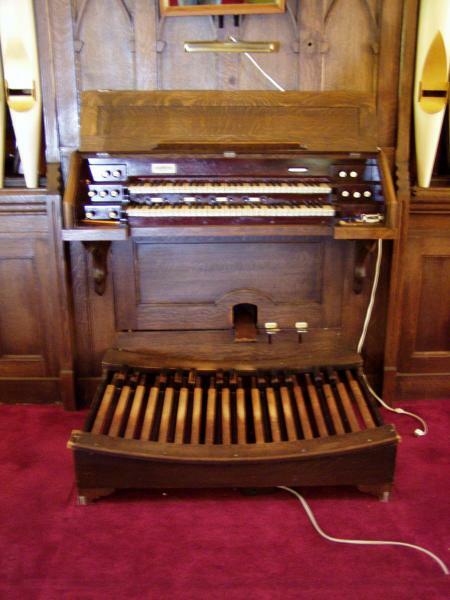 As far as can be determined, the organ at Wesbein Church is the only remaining Pilcher organ in a Methodist church in the state. The organ is built with mechnical key and stop action, except for the Pedal Bourdon which utilizes tubular pneumatic action. Speaking facade pipes are actuated from the main windchest toeboards with tubing to a pneumatic primary and secondary action. 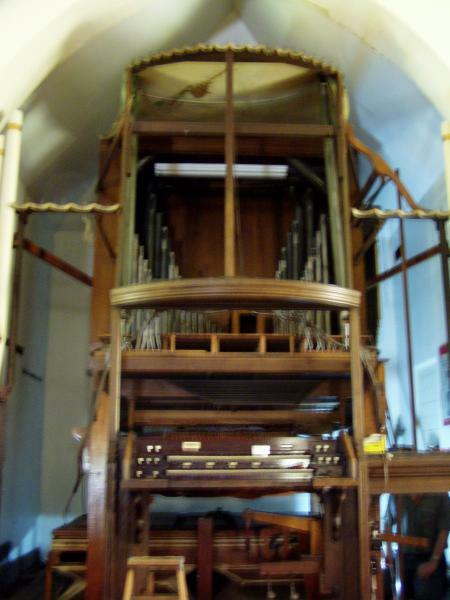 The 2005 restoration by Buzard Pipe Organ Builders was carried out in accordance with the guidelines for historic restoration promulgated by the Organ Historical Society. The original wind system was restored, including the hand pumping mechanism and feeders. The windchests and action remain in unaltered condition. The organ speaks at A-432 Hz at3” wind pressure.